For years, Bishop Walsh students have praised the inclusiveness of our athletic teams and co-curricular clubs and activities. 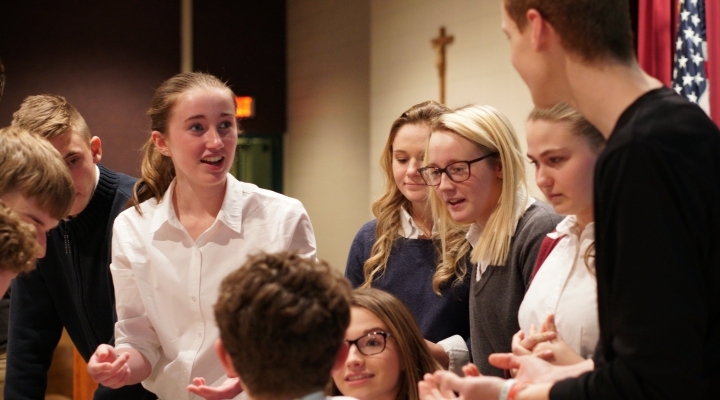 It’s not uncommon for a star of the soccer field to grab a lead in the spring musical and then participate as a star witness on the Mock Trial Team. Bishop Walsh students are encouraged to take part in a variety of after-school offerings and often choose activities outside of their comfort zones with inspiring and rewarding results.